The D-Link® Wireless N Dual Band Router (DIR-815) features simultaneous wireless bands with a faster wireless network than previous generation Wireless G devices, enabling you to create a faster Wi-Fi network with superior home coverage. Dual-band routers let you stream videos and make VoIP calls over the clearer 5GHz band, giving you solid performance for these high-bandwidth applications. 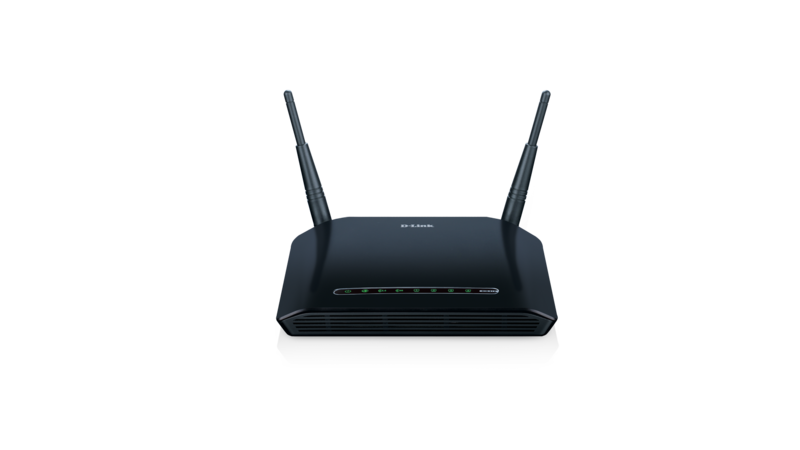 Powered by Wireless N technology, this high-performance router provides superior coverage designed to reduce dead spots for users who demand higher performance networking. Delivering incredible wireless performance, network security, and coverage, the Wireless N Dual Band Router (DIR-815) is ideal for networking in larger homes and offices. The D-Link® Wireless N Dual Band Router (DIR-815) features simultaneous wireless bands with a faster wireless network than previous generation wireless G devices, enabling you to create a faster Wi-Fi network with superior home coverage. Connect the DIR-815 to a cable or DSL modem and provide high-speed Internet access to multiple computers, game consoles, and media players. Create a secure wireless network to share photos, files, music, printers, and more, from greater distances throughout your entire home or office. With D-Link’s award-winning QoS engine that prioritizes time-sensitive online traffic, this router enables smooth Internet phone calls (VoIP) and responsive gaming. Dual Band is two Wi-Fi networks in one router. The dual band technology in the DIR-815 supports both 2.4GHz and 5GHz wireless signals simultaneously. You can check e-mail and browse the Internet using the 2.4GHz band while playing games and streaming HD movies on the clearer 5GHz band. This prevents both signals from getting overloaded and avoids interference and lag when you’re watching movies or gaming. The DIR-815 supports the latest wireless security features to help prevent unauthorized access, be it from over a wireless network or from the Internet. Support for WPA™ and WPA2™ standards ensure that you will be able to use the best possible encryption, regardless of your client devices. In addition, the DIR-815 Router utilizes dual active firewalls (SPI and NAT) to prevent potential attacks from across the Internet. This DIR-815 uses powerful 802.11n technology with multiple intelligent antennas to maximize the speed and range of your wireless signal to significantly outperform previous-generation Wireless G MIMO devices*. The antennas on the DIR-815 make use of your home’s environment by bouncing multiple wireless signals off walls and ceilings to work around obstructions and help eliminate dead spots. * Maximum wireless signal rate derived from IEEE Standard 802.11 specifications when used with related Wireless N 150 devices. Actual data throughput will vary. Network conditions and environmental factors, including volume of network traffic, building materials and construction, and network overhead, lower actual data throughput rate. Environmental factors will adversely affect wireless signal range. Wireless range and speed rates are D-Link RELATIVE performance measurements based on the wireless range and speed rates of a standard Wireless G product from D-Link. Maximum throughput based on D-Link Wireless N devices. Jak skonfigurować połączenie wi-fi na moim routerze? Jak zaktualizować oprogramowanie układowe (firmware) na moim routerze? Kod GPL oraz LGPL wykorzystany w produkcie jest rozpowszechniany BEZ ŻADNEJ GWARANCJI i podlega prawom autorskim jednemu lub kilku autorom. Aby dowiedzieć się więcej, zapoznaj się z warunkami licencji GPL oraz LGPL dla tego produktu. Firmware fixes security vulnerabilities 1.04B02 Firmware fixes security vulnerabilities.